Quarter Castle Publishing is ready for the weekend and the Christmas Festival of Crafts. The event takes place Saturday December 7th (10:00 am to 4:00 pm) and Sunday December 8th (11:00 am to 4:00 pm) at the Musquodoboit Valley Education Centre, 12046 Highway 224, Middle Musquodoboit, Nova Scotia. Today was spent experimenting with the displays. 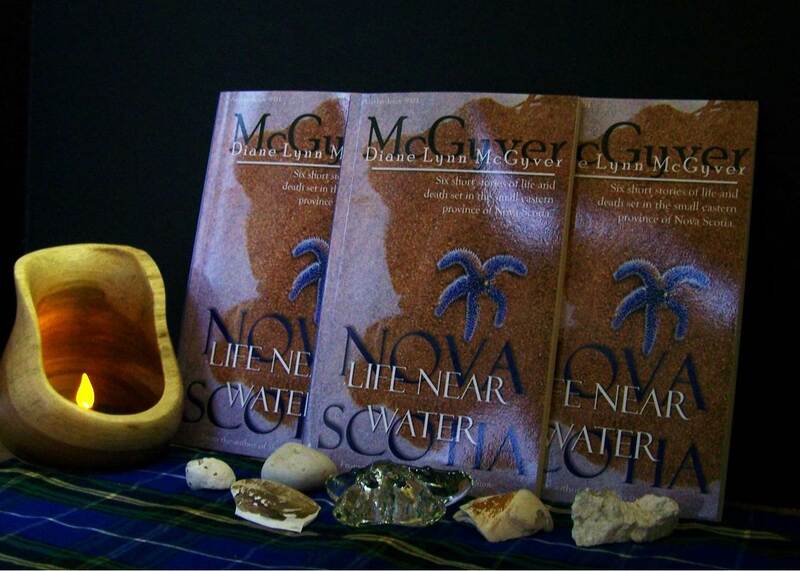 Here’s one for Nova Scotia – Life Near Water by Diane Lynn McGyver. 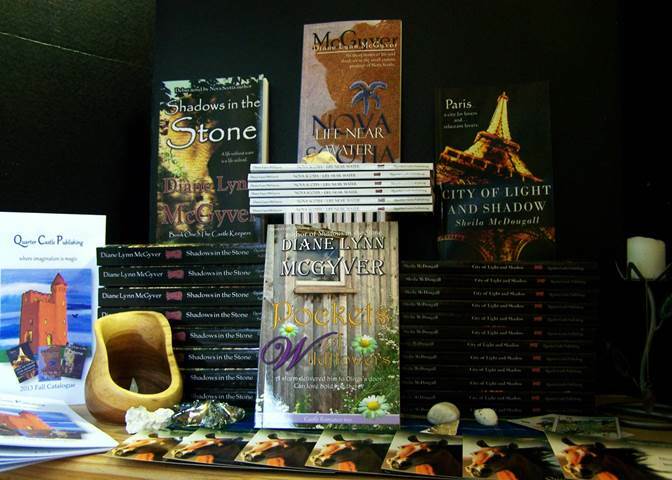 Here is a selection of books that will be at the show along with copies of the Quarter Castle Publishing Fall 2013 Catalogue. We also have copies of Mystery Light in Cranberry Cove by Candy McMudd and Boys Ride, Too by Sam Smith. The craft show is one of the busiest in the province, and rumour has it this year will be its biggest one yet. So if you have the time and would love a drive to the country, drop by and say hello. Quarter Castle Publishing has joined forces with Jayne Peters (author of Messy Jessy) and Mindy George (Alphabet Zoo and Sugar Bugs) for this wonderful event.